Are you wanting to go on an adventure with your friends or family but do not want to pay for a hotel room, or worse two? Pulling a trailer doesn't sound appealing, or you just don't have the truck to do so? If either of those is the case, then you need not hesitate to stop by your local Ewald Airstream of Wisconsin dealership in Franklin, WI. 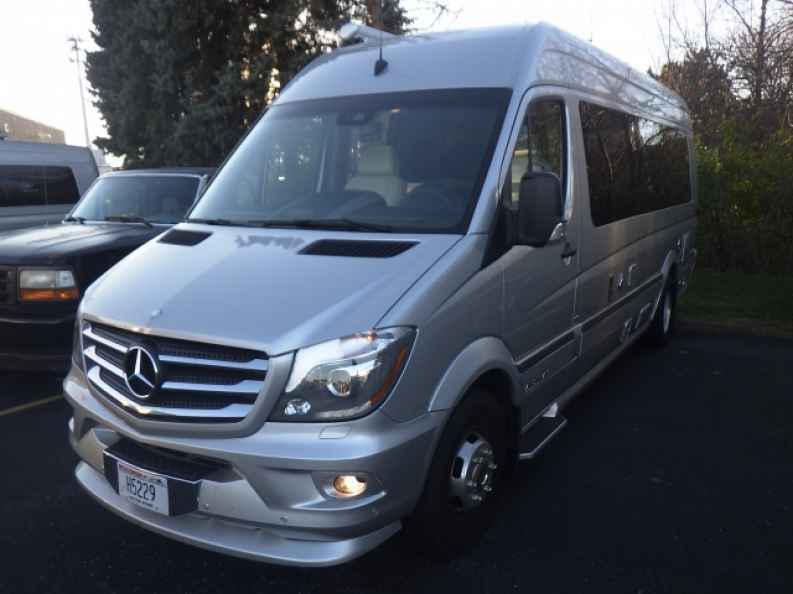 Ewald Airstream offers the used Airstream Interstate that is ready and able to take you and your passengers wherever you desire to go thanks to its Mercedes-Benz engine and drivetrain to power it in this used Airstream trailers. Like all of the travel trailers in Airstream's lineup, this used Airstream Interstate for sale packs all of the same luxurious and high-class items you see in all of its other travel trailer counterparts and is completely full-functioning. This used Airstream Interstate at Ewald also features a full-range kitchen with counter space for all of your food prepping and clean up. With a 32-gallon freshwater tank at your disposal, this used Airstream Interstate features a full shower and kitchen, with enough water to power all of these things on your trip without the need to worry about running out of water. Although not the size of a traditional travel trailer, you will not feel claustrophobic or squished inside of this Airstream for sale thanks to its ingenious and intelligent interior layout that provides with more than enough room for you and all of your passengers to move freely. This used Airstream Grand Tour EXT offers many ways to store all of your belongs inside as well, from its flip-up and out cupboards to its large trunk area, to slide out drawers and more. One benefit over a traditional Airstream travel trailer is that you can enjoy this used Airstream Interstate for sale the entire time that you are on the road and not just when you are parked at the campsite. You are more or less getting a rolling five-star hotel on wheels to take with you wherever you go, whether on road trips or to campsites, this used Airstream Interstate is going to serve you exceptionally. 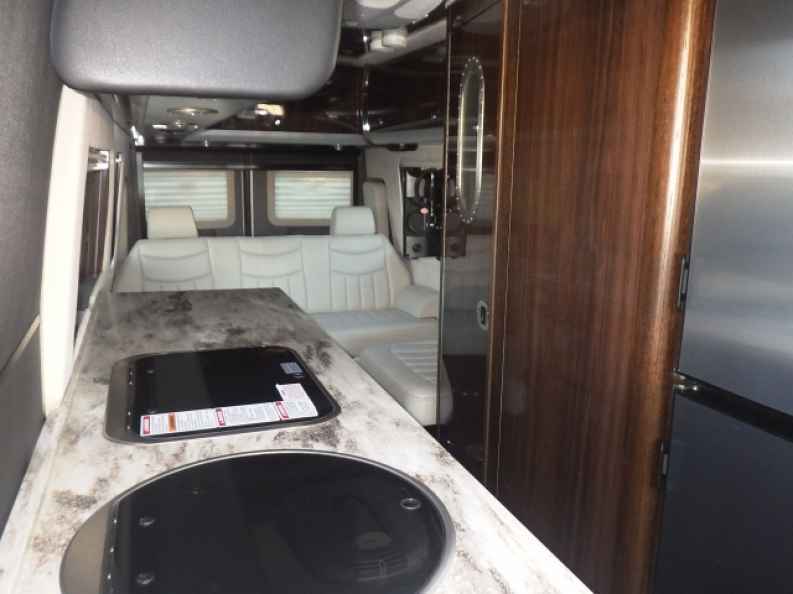 Finding your next travel destination with your loved ones is super easy thanks to the included navigation system inside of this used Airstream Interstate Grand Tour EXT for sale at Ewald Airstream of Wisconsin. So if you are looking to begin your next expenditure and take an adventure that you will not soon forget with your loved one then end your search right here at none other than the Airstream, the used Airstream Interstate for sale at your Airstream dealer in Wisconsin. Come to Ewald’s Airstream and see the impressive Airstream Interstate or one of the many other trailers for sale in Franklin, Wisconsin. Ewald’s Airstream of Wisconsin 6319 S 108th St in Franklin Wisconsin 53132.